SUPER SHOW! 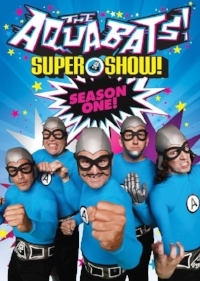 — The Aquabats! The Aquabats! Super Show! follows the adventures of a band of five heroes who are here to save the world, you know. The Daytime Emmy Award-Winning Super Show! premiered for 2 seasons on The Hub network for a total of 21 episodes.